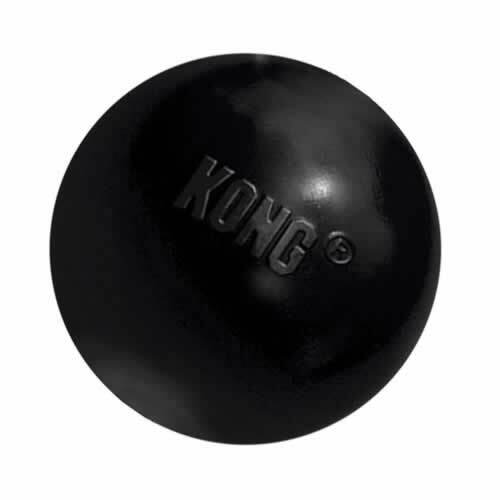 The small KONG Extreme Ball is made from the tougher KONG Extreme natural rubber making it very tough and durable for dogs that love a ball, but tend to destroy lesser balls. Can also be used in the water because the small KONG Extreme Ball will float. Solid KONG Extreme rubber so very durable and hard to destroy. Bouncy to test your dogs reflexes.